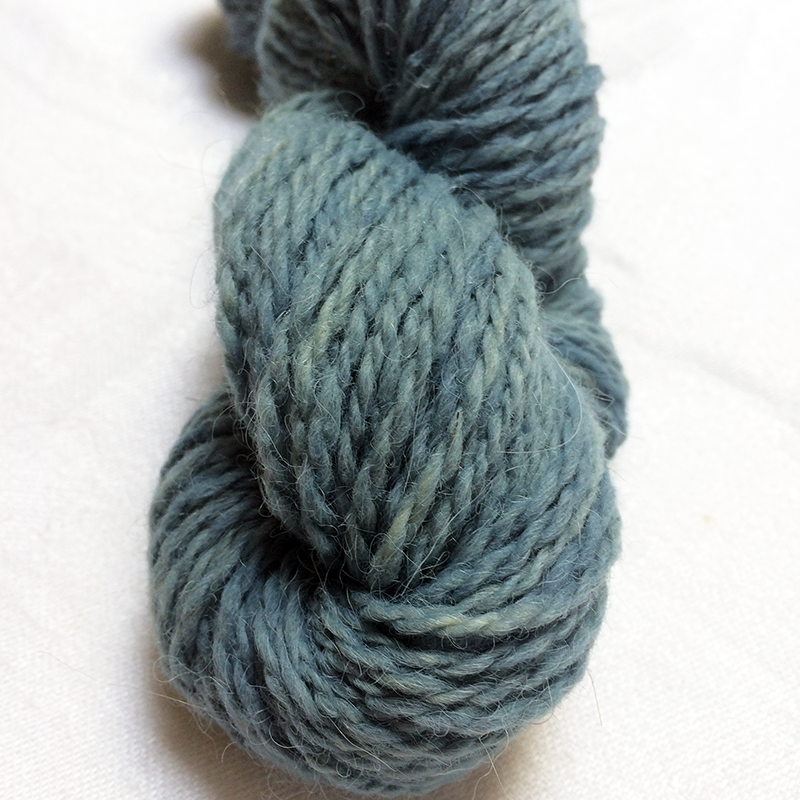 I don't know why, but when the weather gets really bad on a Saturday, I immediately think about dyeing yarn. Maybe because I know I'll have the entire afternoon to play with color or maybe because I like to dye bright colors which cheer me up in dreary weather. Whatever the reason, this past Saturday when it was cold and rainy and very uninviting outside, I decided to try the Indigo Dye Kit kindly gifted to me by The Wooliers after I interviewed them on the podcast. 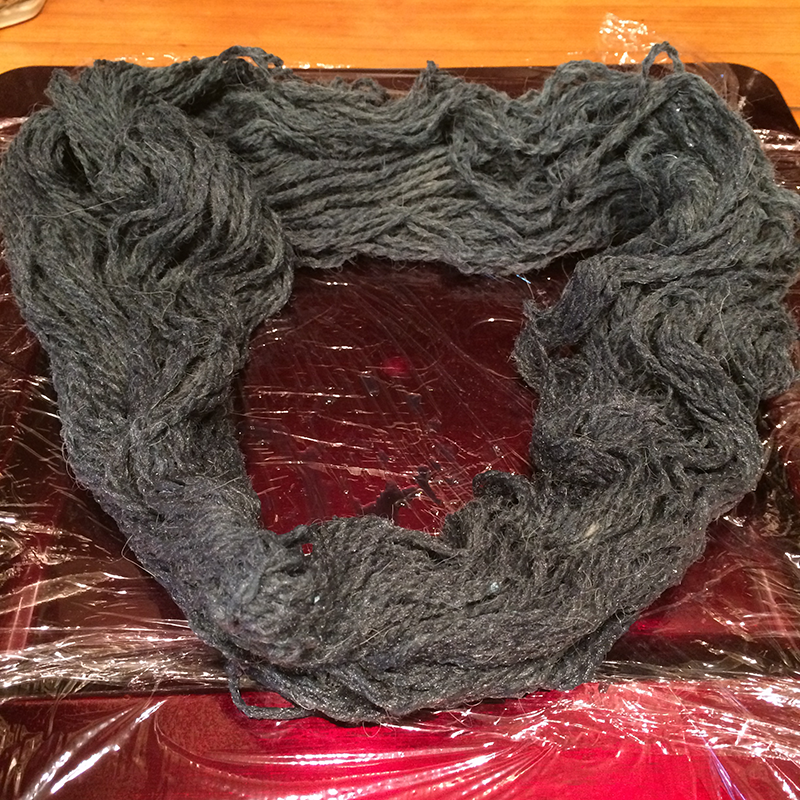 Such a fun way to dye yarn! My go to way to dye is with a crockpot and either food coloring or Kool-aid, and if you've dyed yarn with either, you know you've questioned how those items are considered edible. 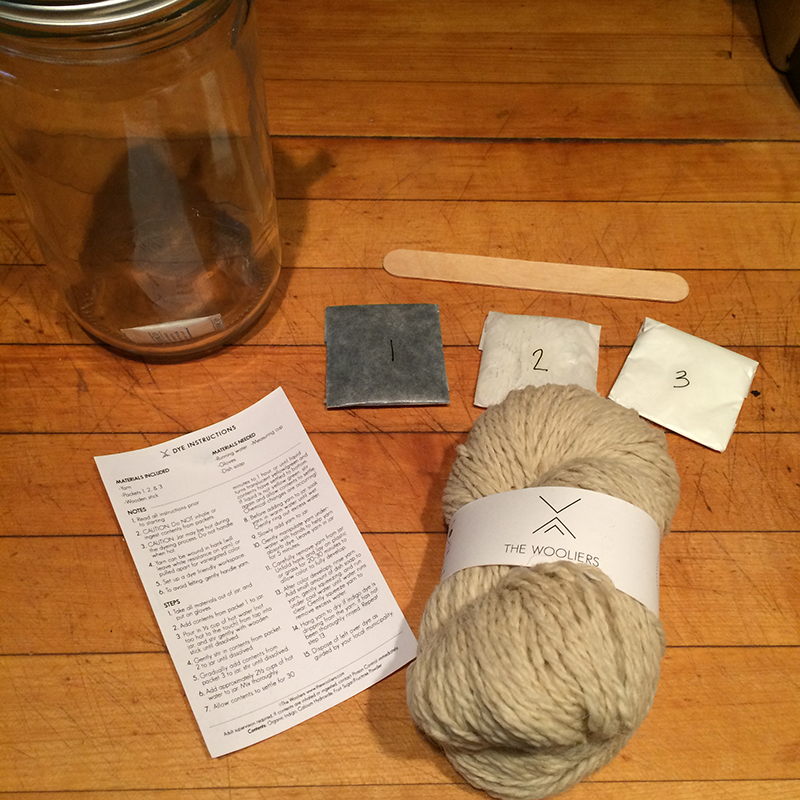 This kit gave me a chance to try a natural dye in an almost fool proof way (if you read the directions before you start, definitely fool proof). The kit comes with detailed instructions, 3 packets of pre-measured dye ingredients, a wooden stick to stir the yarn and dye, and 120 yards of wool (25% baby doll, 25% merino, 50% alpaca). Earlier experiences with alpaca had me wondering how bright this dye would be; alpaca tends to mute even the brightest of Kool-aid colors, but turns out, I had nothing to worry about. 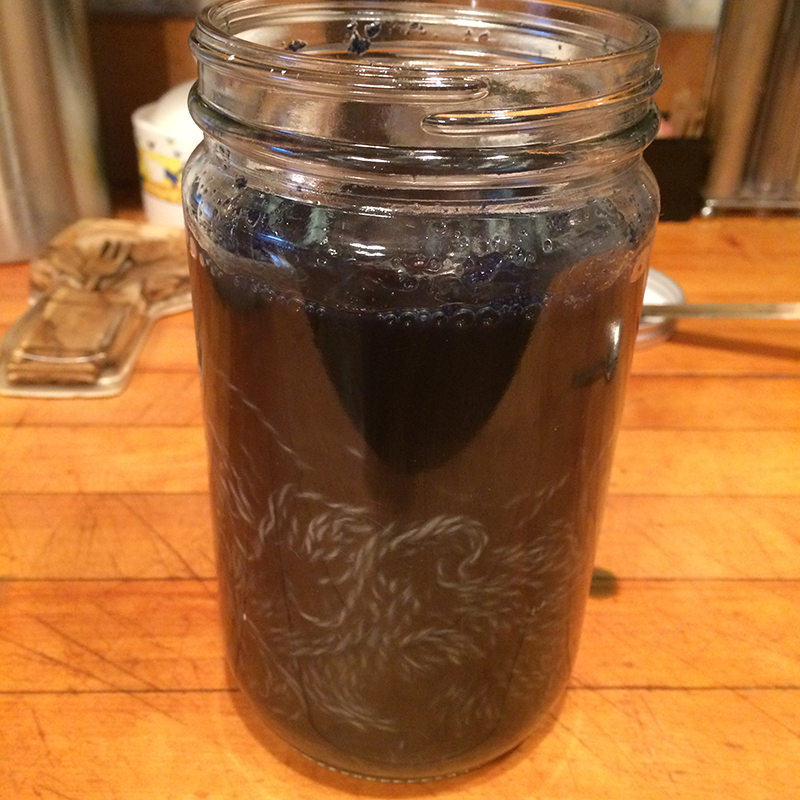 After mixing the hot water and the ingredients, I left my jar to sit for an hour. Then I let it sit for another hour. My jar never got to the "translucent yellow/green" described in the directions, but I've created some mighty fine colors in the past by winging it, so I pushed that hank of yarn into the dye mix anyway. The directions said let it sit for 5 minutes. I of course got involved with the new Anne of Green Gables series on Netflix so didn't come back to it for about 30 minutes. Super dark blue! After letting the yarn sit for awhile (ok more of Anne), I rinsed out the indigo. That took quite a bit of soaking which may be due to my water never turning that yellow/green, but once it was rinsed, I gave it a soak in, what else, Soak, and then wrung it out to dry. 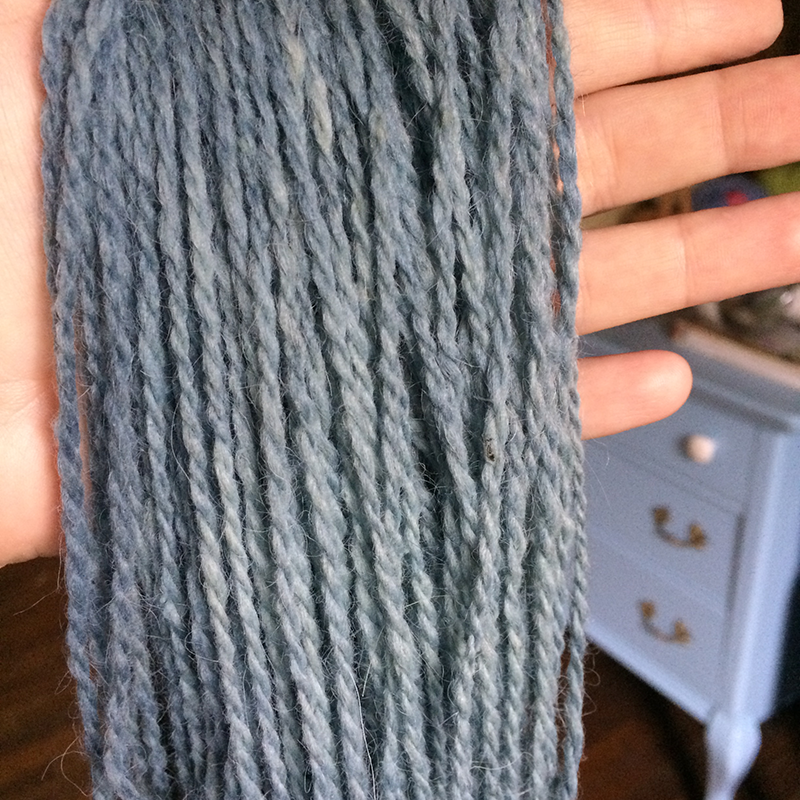 The yarn dried overnight (and was of great interest to my new dog, Kimmy - I think the smell intrigued her), and I am IN LOVE with this yarn!! I see this in a hat very soon... now to get some of The Wooliers natural yarn to go with it! 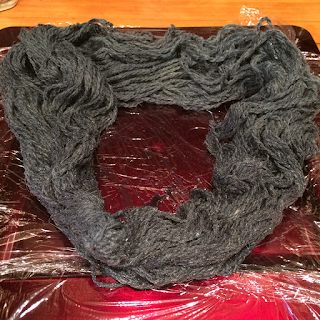 If you've never tried your hand a dyeing yarn, I highly recommend this as a first time experience. 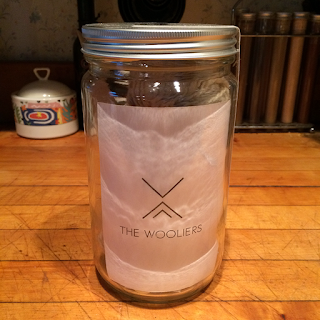 Very self contained in the jar, the directions are very detailed, and the result nothing more than spectacular! If you decide to give this kit a try, let me know! I love this color! Great work! a beautiful color! I have never dyed yarn and I can say for now I'll let others do it and rely on their talents. I've never dyed yarn, but this seems like a very easy way to do it. Thank you for sharing at The Really crafty Link Party. Pinned!